Hankbobo, Madokami, RS2SC and 6 others like this. Hey Carver welcome to the new insanity that is the Boss 302! 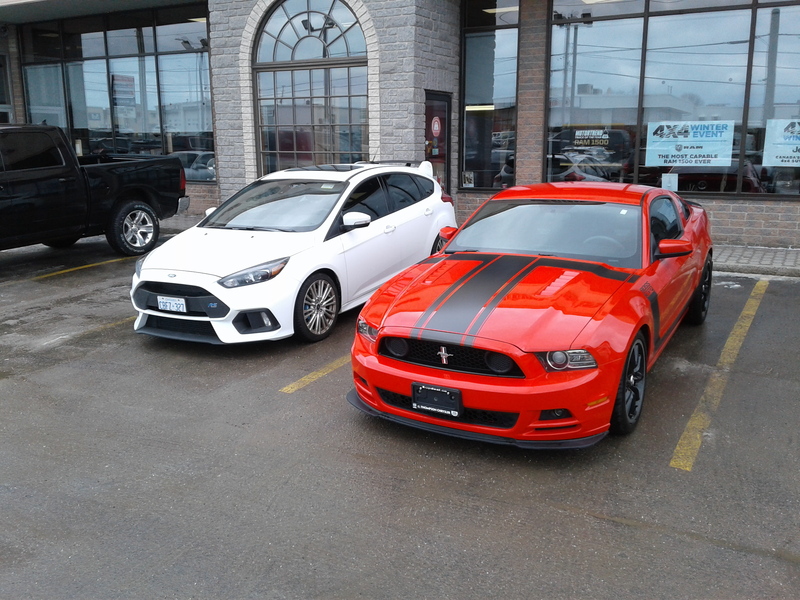 I am lucky enough to have an RS and a 2013 Laguna. The Bosses are such exciting cars to drive and the engine alone is worth the price of admission. Just be very, very careful in the cold and/or wet. Since you are used to the incredible all weather capability of an RS, the Boss will feel a whole lot different and you have to be a lot softer on the gas pedal. Make sure you head over to the best Boss 302 forum (it specializes in Track Mustangs like the Boss and GT350). different type animals. Have fun with that Boss. I was looking at one when I was considering my RS last year. I need my 4 doors. Have fun with the new sleigh! watch out for them crowds! Thanks guys, for all the positive feedback. This is a really great community. I will continue to lurk !! I hope there will be another RS in my future so I still need to keep up with the forum from time to time!! Also interested to see how the Boss will hold up against the RS at the track....I'm thinking they are close.